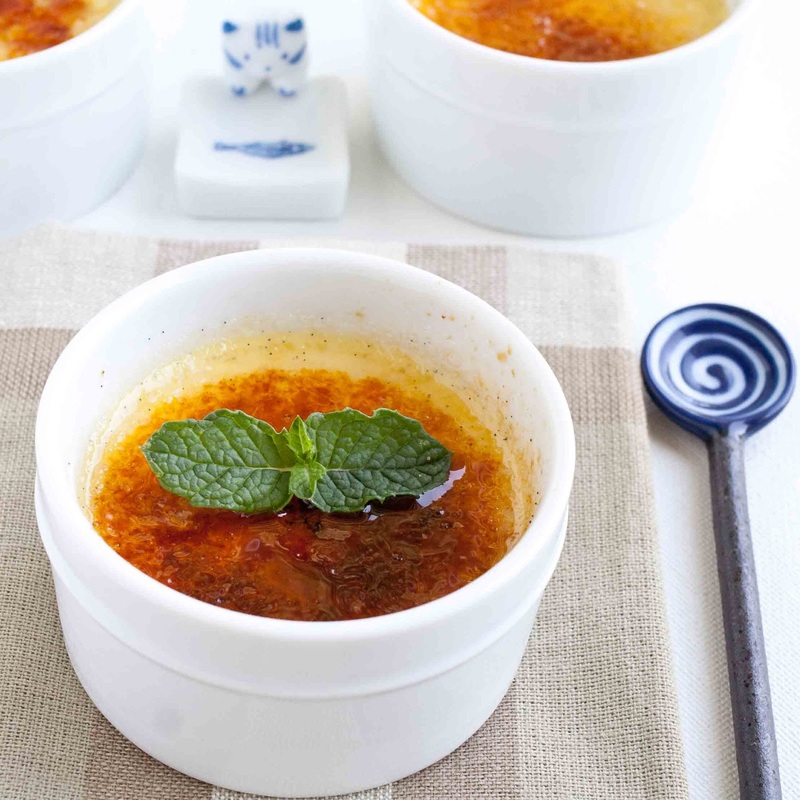 I think if I had to choose a favorite dessert, it might just be Créme Brûlée. If it's on the menu at a restaurant, I am enticed to order it. To celebrate The Pioneer Woman's new Food Network show, I made the Créme Brûlée from her cookbook, The Pioneer Woman Cooks. If you haven't made this yet, you're going to be happy when you do. The recipe can be found in her cookbook or on her website. 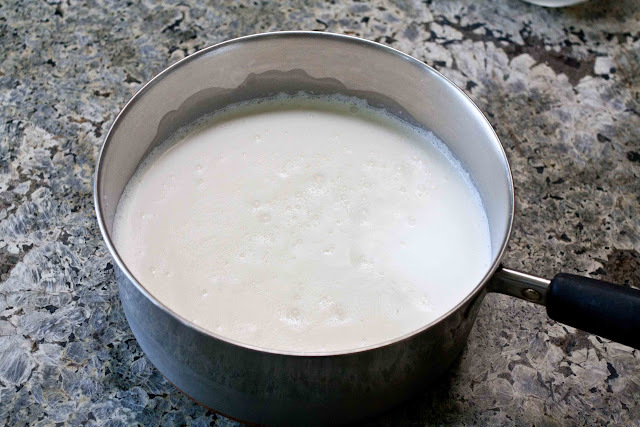 Put 4 cups of cream, one quart, into a saucepan. 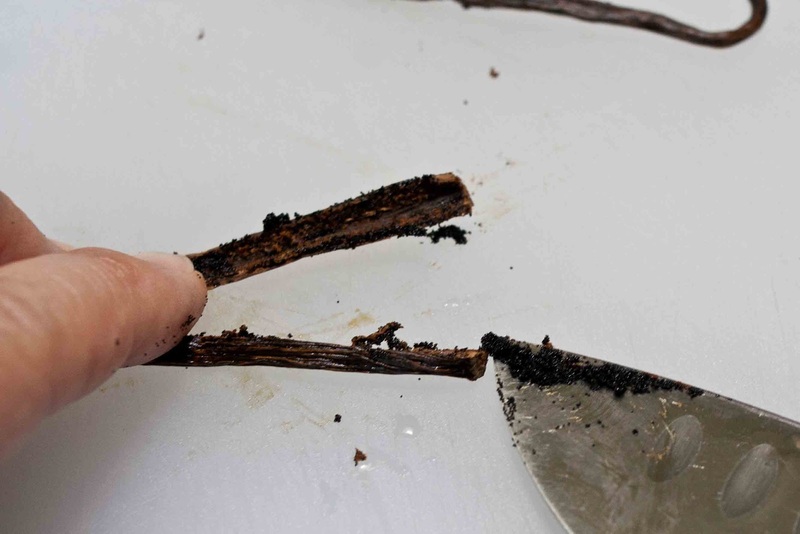 Split the vanilla bean and scrape out the essence inside. 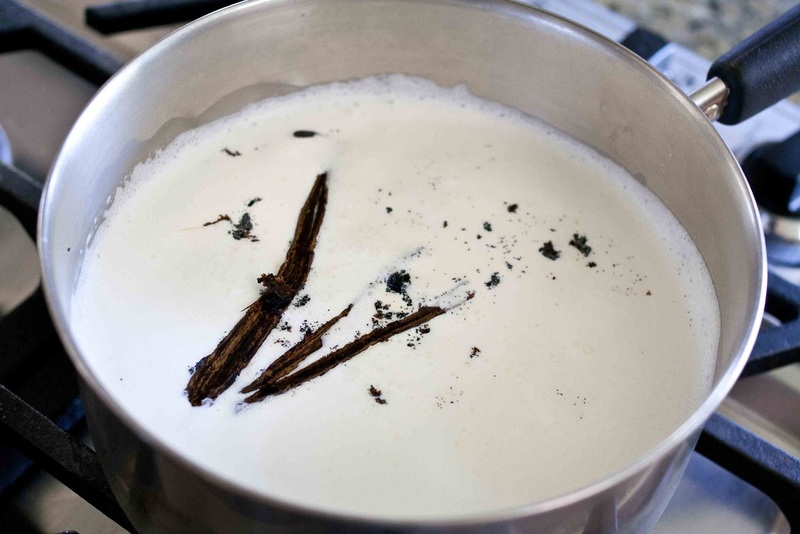 Put the vanilla bean & its essence into the pot of cream. 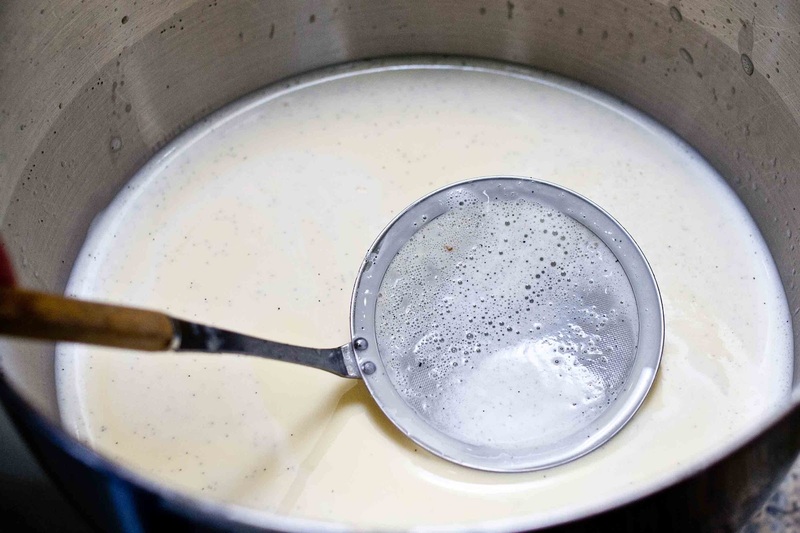 Heat the cream until it almost comes to a boil and remove from heat. Beat 10 egg yolks and 3/4 cup sugar until they are light yellow in color. 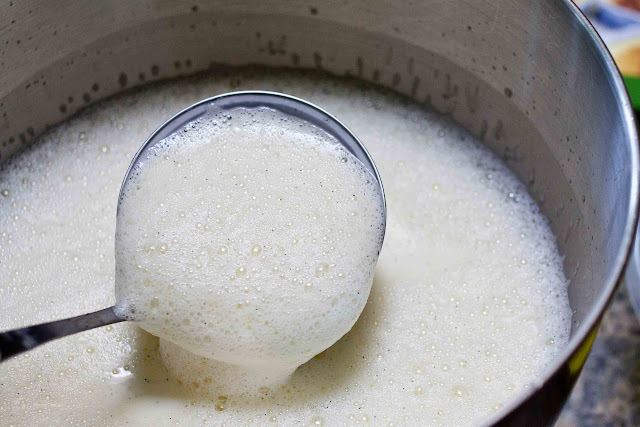 Filter the cream and vanilla bean through a fine mesh strainer into a bowl. 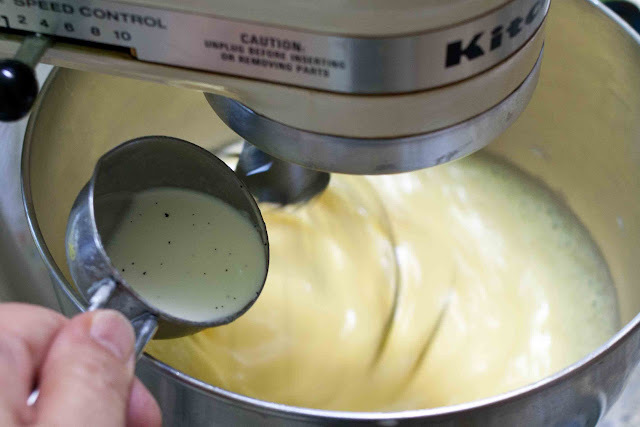 Next you're going to temper the egg mixture by slowly adding 1 cup of the cream mixture drizzling it into the mixer bowl a little at a time. 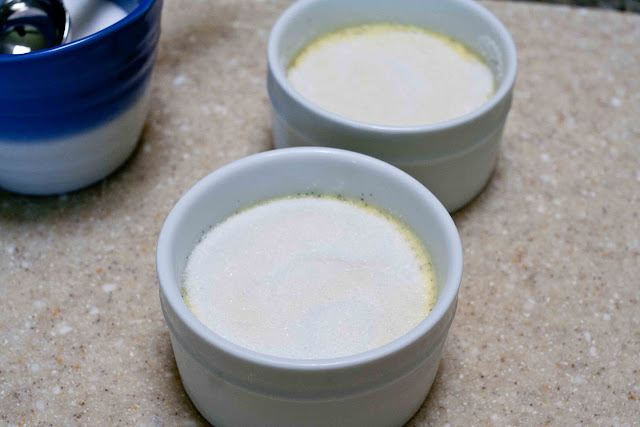 You don't want to add it too fast since the cream is warm and it could cook the egg yolks, so add it slowly. Continue adding the cream, a little at a time, until all the cream is in the mixer bowl. I used a wire sieve. Take off as much of the foam as you can. 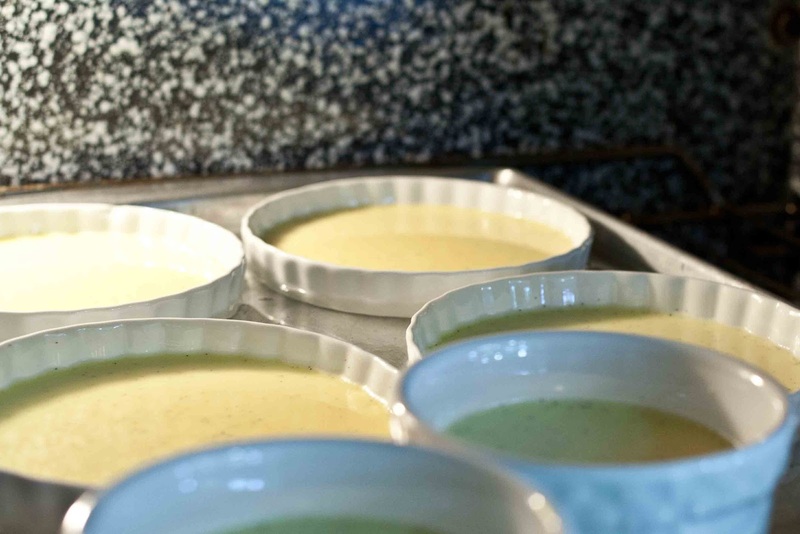 Ladle the cream mixture into ramekins. I used a mixture of different sizes. 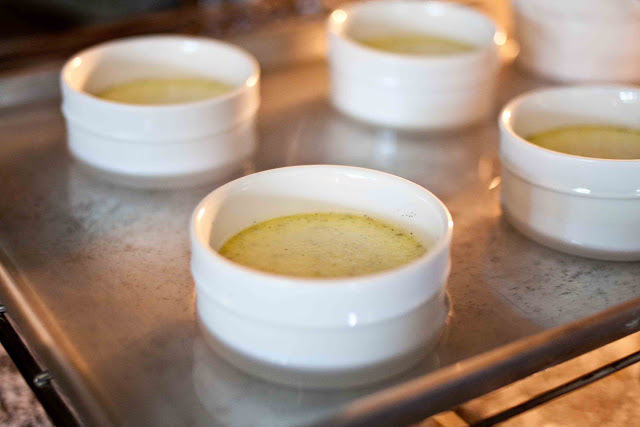 Then put them on a rimmed baking tray in a 325ºF oven, pouring hot water into the tray, half-way up the ramekins. You'll be able to tell by how the custard jiggles when it's done. It should be jiggly but not loose. Ree's recipe calls for superfine sugar, I used fine granulated sugar that I found at my local market. For the small ramekins, I used 1 teaspoon of sugar, on the large flat ones I used 1 tablespoon. 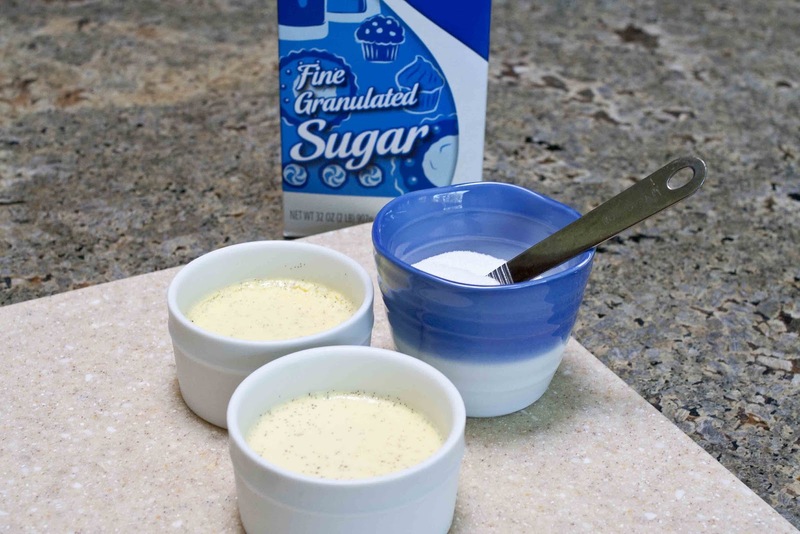 Put the sugar on top of the ramekin and swirl it around to spread it evenly. 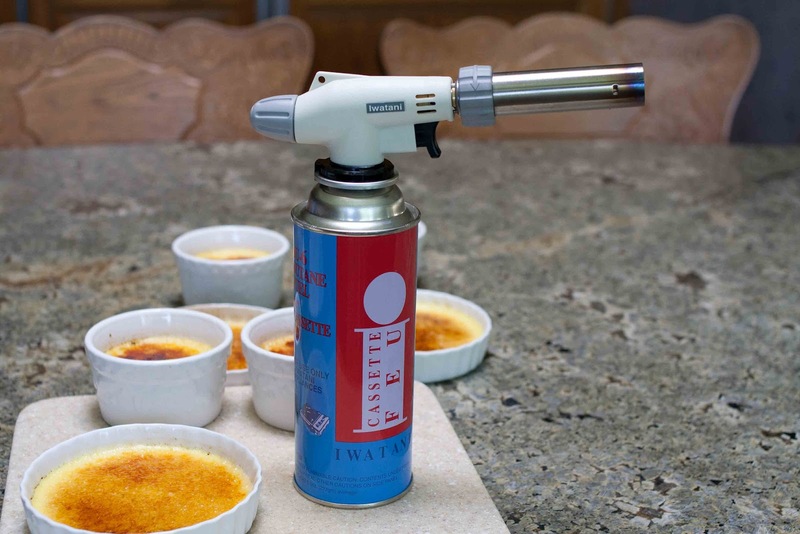 I bought this Iwatani torch because it fits on top of a butane fuel can--I always have some of those cans on hand because they're the same ones I use when I make shabu shabu on a tabletop stove--so it's convenient. I ordered it though Amazon.com, but a price comparison can save you about half. The torch is easy to use--it fits on top of the can, just place and twist on--turn the knob on the end on the left, it turns on the fuel. Then pull the trigger, that's the lighter, and the knob at the base of the nozzle controls the amount of flame. The technique to a nice burnt sugar top is to hold the torch perpendicular to the surface, move the flame in a circular motion until the sugar has melted and it has reached the desired color. 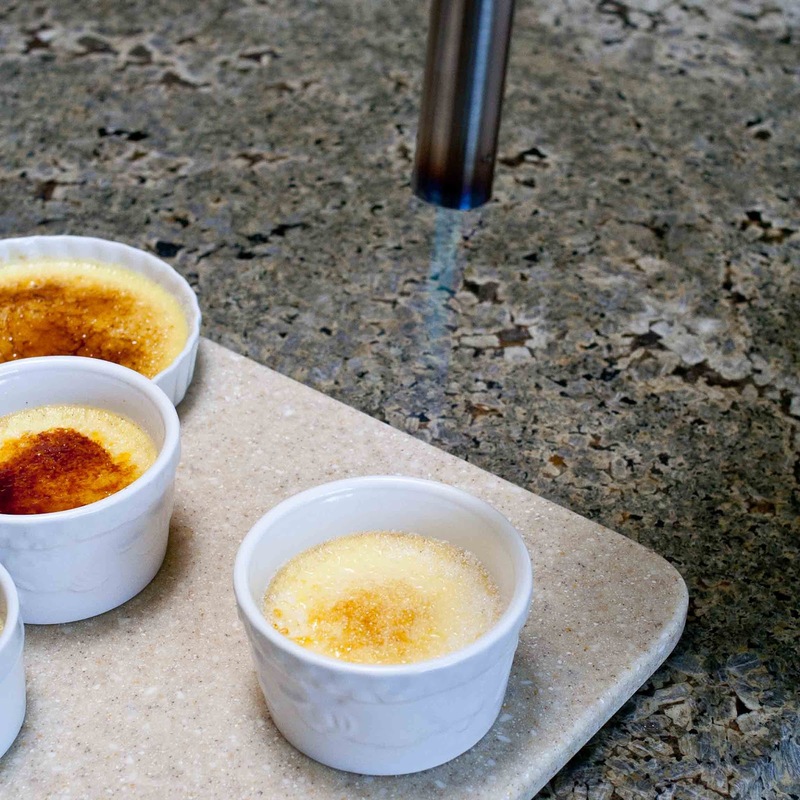 Try to work quickly so the custard doesn't get too hot. 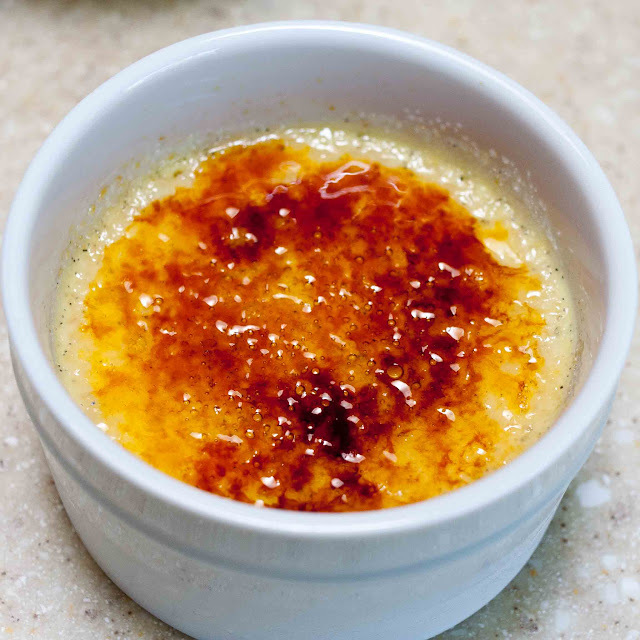 I've decided I like the smaller ramekins better than the larger, flat ones since the créme brûlée is so rich. Better to be wanting a little more than to have too much. Ree's right, prepare yourself for moans and groans, it's so delicious! Ree wouldn't steer us wrong. I am enjoying her new show, are you? I received these photos in the mail yesterday. 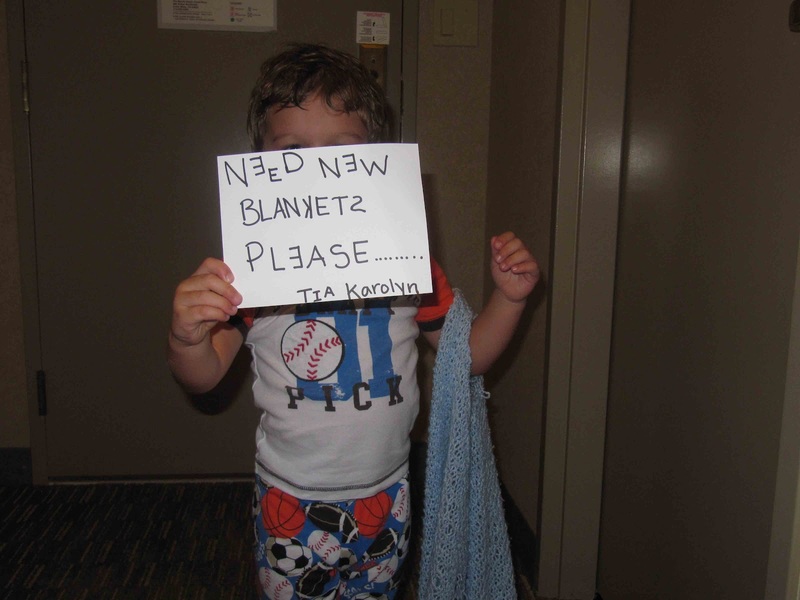 I had knitted blankets for Elizabeth and Joshua when they were born. Kids are hard on knitted blankets--they like to put their fingers through the holes and pull on the yarn with their teeth. So they sent a note to Tia Karolyn for help. This is the Vargas family a couple of years ago when Elizabeth was just a bun-in-the-oven. 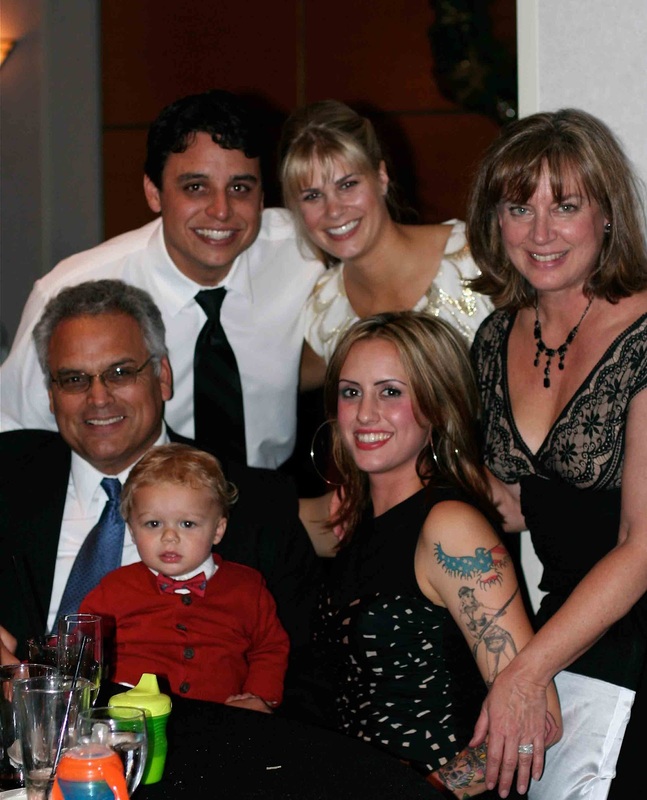 I met them several years ago when Jason and Amy were in elementary school--now Jason and Shelley are married and Joseph and Margie are grandparents! 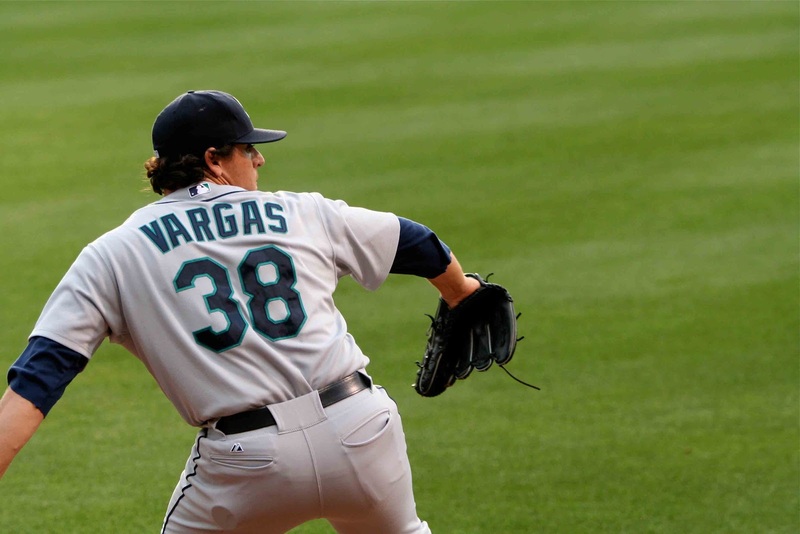 Jason's now a pitcher for the Seattle Mariners. 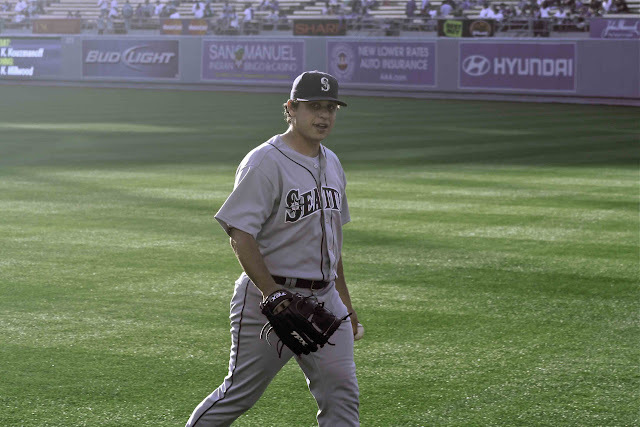 I like to watch baseball when Jason's pitching. 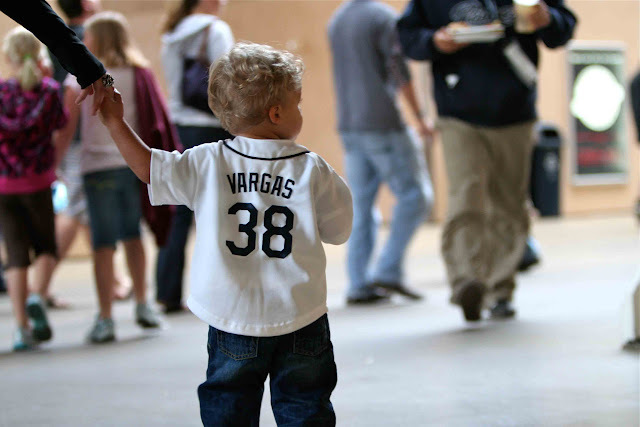 It's really fun when a group of us get together to go to the games. I'll have my knitting with me now when I'm watching Jason pitch. 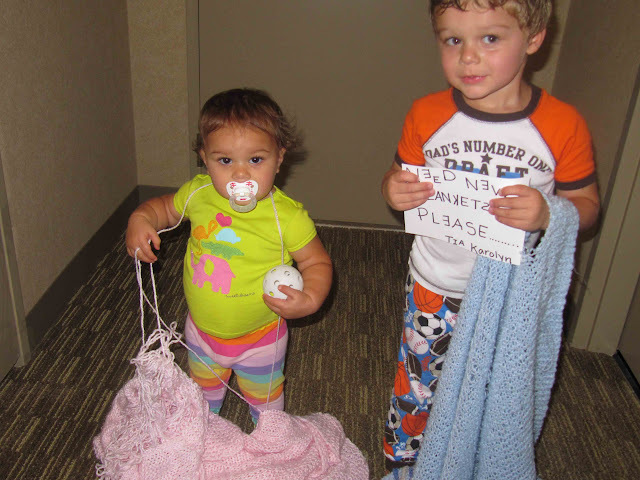 Gotta makes these babies some new blankets! Put the cream and split and scraped vanilla bean into a saucepan. 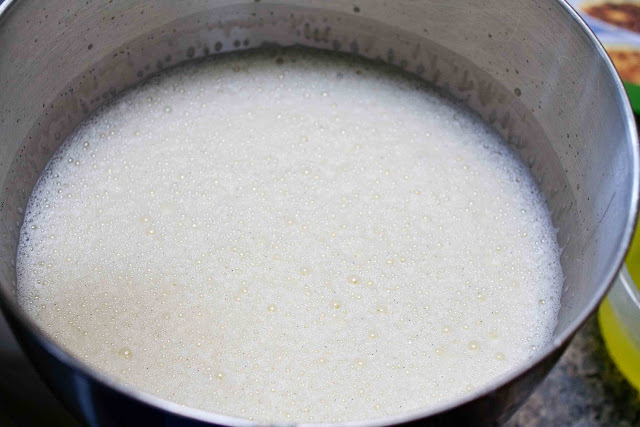 Bring to almost a boil and remove from heat. 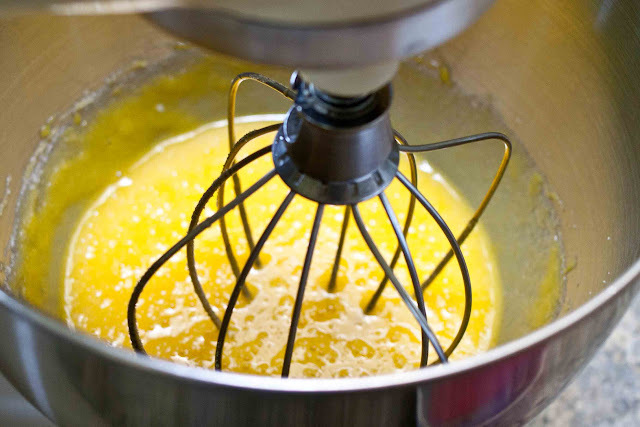 Separate 10 eggs and put the egg yolks into the mixer bowl with 3/4 cup sugar and mix until the yolks are light yellow in color, about 4 to 5 minutes. Strain the cream mixture through a fine meshed strainer. Add 1 cup of the cream mixture, slowly drizzling it into the beating yolk mixture, a little at a time, to temper the yolks--which raises their temperature without cooking them. Then slowly add the remaining cream, beating constantly. 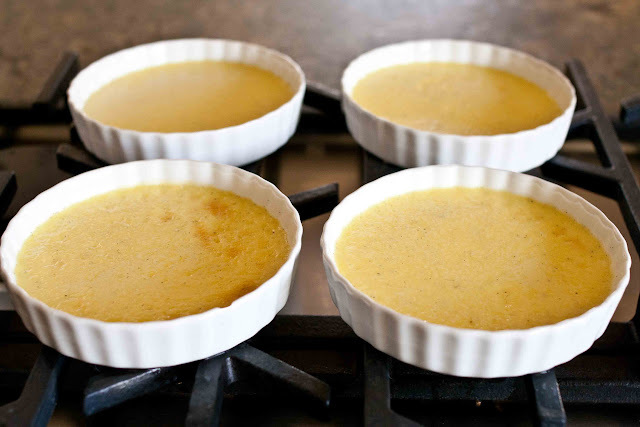 Place the ramekins on a rimmed baking sheet and place into the oven, then pour the hot water into the baking sheet, about halfway up the side of the ramekins. 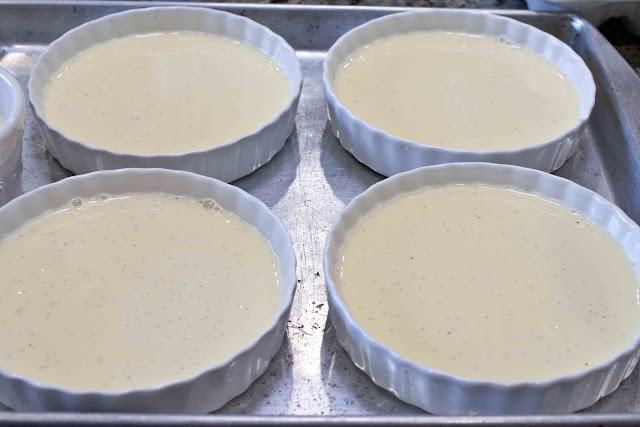 If you're using the smaller, taller ramekins, about halfway up the side of the rimmed baking sheet is enough of a hot water bath for the custard. Bake for 35 to 40 minutes, remove, let cool, cover and refrigerate. 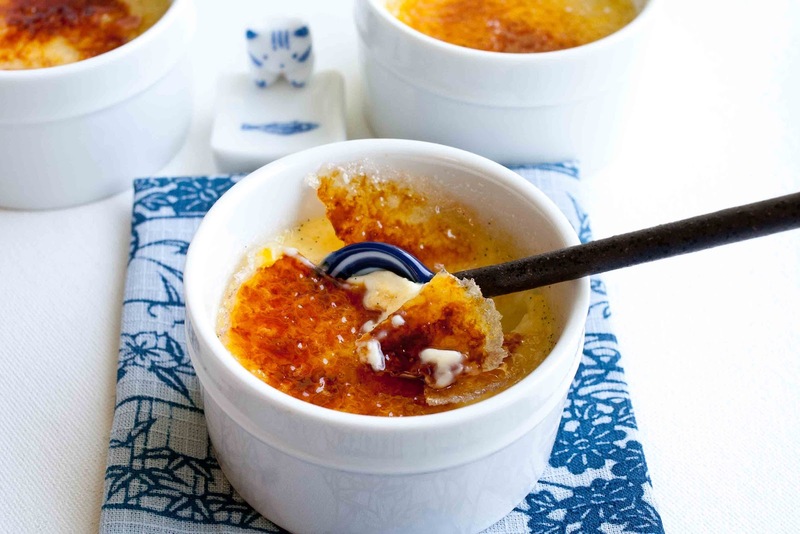 Before serving, put 1 teaspoon fine sugar on the small ramekins or 1 tablespoon sugar on the créme brûlée ramekins and swirl to spread evenly. Burn the sugar with a kitchen torch, working quickly so as not to heat the custard. I have that cookbook!!! 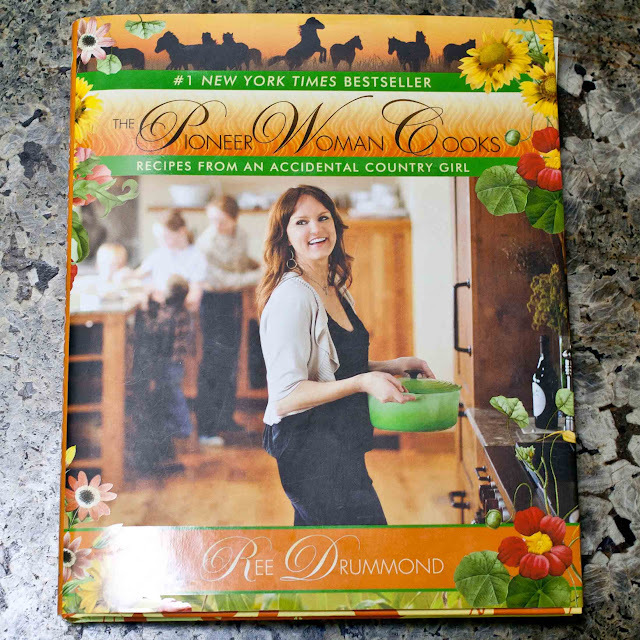 You introduced me to the Pioneer Woman blog a few years ago, I didn't know anything about her. I just love reading her blog. Love her cooking show, too. Thank you, Karolyn. I seldom eat desserts, but this looks very, very delicious. Did you save some for me? Cute pictures of Elizabeth and Joshua. Made me laugh, too. Adorable.